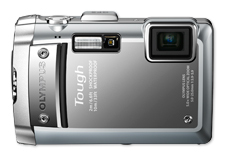 On advice from my pal Bernard Yeoh, who seems to be right up to the minute with all things camera, I have plumped for this Olympus which I can drop from great heights, take underwater to 30 foot, not worry about dust and sand etc. It also takes video. What is certain is that the camera is a lot better, and will hopefully cover up some rather elementary mistakes that this snapper will undoubtedly make. Tomorrow, I am off to the Apple Store to see a demonstration and hope to learn a bit about the iMovie software, with probably over ambitions to make the odd video.